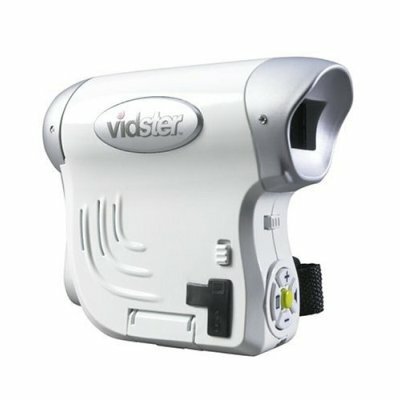 The Vidster tinycam for kids isn’t new, it’s been out for a few years now actually. It shoots 1.3 megapixel stills, has a 1.1 inch color LCD and 32MB onboard memory expandable via SD card. At 320×240 resolution it’s great for web clips, and most kids will be glad to have a video camera of their own. So what’s good about the Vidster? Well for one it’s darn near indestructible, and for another it’s got three and a half stars out of five on Amazon. The Vidster has also been marked down to $39 buck which makes it a nice gift for your little George Lucas in the making.